Teranga Gold Corporation (TSX:TGZ) (OTCQX:TGCDF) is pleased to announce that the most recent drill program on its Golden Hill property in Burkina Faso, West Africa has returned dozens of encouraging gold intersections from surface and strong, widespread mineralization along trend and to depth at three advanced prospects. The latest step-out drill results from the Ma Main, Ma North and Jackhammer Hill prospects also outline excellent continuity of multiple gold zones within each of the highest priority prospects at Golden Hill. These drill results will be included in the initial resource estimate for Golden Hill to be released in early 2019. Teranga has a 100% interest in Golden Hill following the purchase of its previous joint venture partners’ interest. Golden Hill includes nine advanced exploration prospects all within a 7.5-kilometre radius (see Figure 1 in Appendix 2) which would be conducive to a centralized processing facility. Recent results from Ma Main, Ma North and Jackhammer Hill add to the strong drill results announced to date at these and the other prospects at the Golden Hill project. Over the remainder of the year, drilling will continue on a number of the advanced prospects, including Ma Main, Ma North and C-Zone. 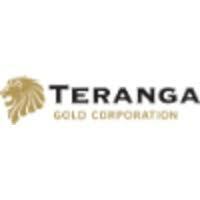 Upon satisfaction of conditions precedent relating to the project’s initial preliminary economic assessment, Teranga has secured $25 million in debt financing to advance the Golden Hill project through to feasibility. This news release provides an update on exploration drilling results from a number of prospects recently evaluated as part of ongoing advanced exploration programs at Golden Hill. Recent drilling was undertaken at Ma Main, Ma North and Jackhammer Hill prospects as part of a property-wide resource evaluation program. Please refer to Appendix 1 for significant results (Tables 1-3) and Appendix 2 for plan maps and representative sections related to this phase of our exploration drilling program. Cumulative results from all Golden Hill drilling are available on the Company’s website www.terangagold.com under Exploration. The Ma Main prospect remains the largest in size and is the most extensively drilled of those being evaluated currently at Golden Hill, with a current strike length of approximately 1.5 kilometres. The lesser drilled Ma East prospect ties on directly to the Ma Main and adds a further 1.2 kilometres of strike extent to this continuous mineralized system. The primary gold mineralization at Ma is hosted within two extensive brecciated fault zones (BZ-1 and BZ-2) that demonstrate excellent continuity throughout the areas drilled to-date. Of further note is the favorable geometry of both BZ-1 and BZ-2 which are spatially proximal, generally parallel and have moderate dip orientations which are advantageous for a future mining scenario. As drilling has progressed, additional mineralized zones have been intersected, predominantly in the hanging wall of BZ-1, which further enhances the upside potential at this advanced prospect. Representative sections including some recent drill results are shown in Figures 3, 4 and 5 in Appendix 2. Recent notable diamond drill results at Ma Main are outlined in Table 1 in Appendix 1. Our most recent Ma North diamond drill results continue to confirm that a third and fourth well-mineralized breccia zone (BZ-3 and BZ-4) exist within the Ma Structural Complex where previous drilling had identified BZ-1 and BZ-2 at Ma Main (see Figure 6 in Appendix 2). Comparatively, drilling at Ma North is still at an early-stage when compared to more advanced Ma Main area of the Ma Structural Complex. Similar to Ma Main, hole-to-hole correlation is demonstrating excellent continuity of mineralization both along trend and to drilled depths. Additional drilling is planned to further evaluate Ma North, especially along trend and to depth focusing on the eastern extension area where recent drilling has intersected a series of sub-parallel breccia-hosted mineralized horizons that remain open to further expansion. A representative section including some recent drill results is shown in Figure 7 in Appendix 2. Recent notable diamond drill results at Ma North are outlined in Table 2 in Appendix 1. Recent drilling at the Jackhammer Hill prospect has focused on defining along trend expansion potential, depth extensions below previously identified shallow mineralization and confirmation of the geological interpretation. The gold mineralized zones identified thus far at Jackhammer Hill comprise a series of steep, southeast dipping horizons hosted within an altered and sheared diorite intrusive unit. Drilling has been directed along an approximate 1,350-metre strike extent (Figure 8 in Appendix 2), predominantly to vertical depths of approximately 125 metres. A 200-metre long central portion of the Jackhammer Hill mineralization includes a number of previously announced high-grade intervals hosting visible gold within a broad altered and mineralized zone. A representative section including some recent drill results are shown in Figure 9 in Appendix 2. Recent notable diamond drill results at Jackhammer Hill are outlined in Table 3 in Appendix 1. Teranga’s Burkina Faso exploration programs, corresponding to the drill holes being reported herein, were managed by Peter Mann, FAusIMM. Mr. Mann was a full time employee, recently retired, of Teranga and is not “independent” within the meaning of National Instrument 43-101 – Standards of Disclosure for Mineral Projects (“NI 43-101”). Mr. Mann has sufficient experience which is relevant to the style of mineralization and type of deposit under consideration and to the activity which he is undertaking to qualify as a “Qualified Person” under NI 43-101. The technical information contained in this news release relating to exploration results are based on, and fairly represents, information compiled by Mr. Mann. Mr. Mann has verified and approved the data disclosed in this release, including the sampling, analytical and test data underlying the information. The RC and diamond core samples are assayed at the BIGS Global Laboratory in Ouagadougou, Burkina Faso. Mr. Mann has consented to the inclusion in this news release of the matters based on his compiled information in the form and context in which it appears herein.